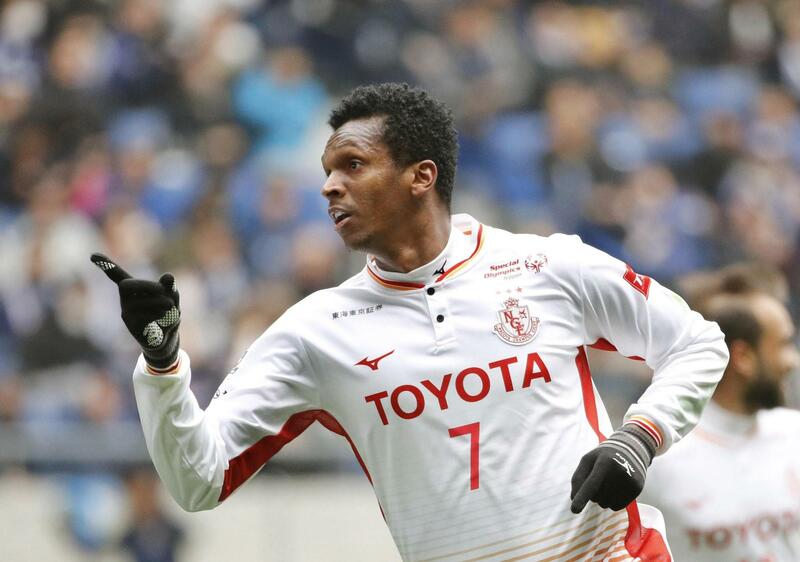 OSAKA - Nagoya Grampus marked their return to the top flight in winning style Saturday with a 3-2 away victory over Gamba Osaka. Following a year in the second division, the J. 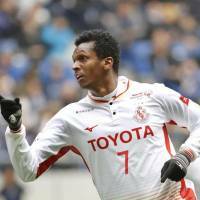 League foundation club signaled its intention to remain in J1 with an eye-catching attacking display spearheaded by Brazilian forward Jo, who set up Nagoya’s first goal and scored the 84th-minute winner. After going down a goal early in the second half, Gamba looked to have secured a point in the 79th minute, when Shun Nagasawa leveled the score at 2-2 with a diving header off a Oh Jae-suk cross. But Nagoya secured the victory 5 minutes later with an impressive team goal. Midfielder Ariajasuru Hasegawa led the break, dribbling from the center before threading the ball to Kohei Hattanda, who played a one-touch pass to the streaking Jo. It was an impressive J. League debut for the 30-year-old journeyman striker who spent most of his career in his home country, but served stints in China and Dubai on his way to joining Nagoya in the off-season from Corinthians. Yasuhito Endo opened the scoring for the hosts, slotting home from just inside the penalty area after Shu Kurata breached the Nagoya defense and set up the veteran midfielder with a pass from the goal line. Grampus equalized after Ryuji Izumi found Jo making a run inside the box. The 189-cm forward drew two defenders before setting up compatriot Gabriel Xavier with a short cross. Willian Rocha put the visitors ahead in the 51st minute, gathering a long free kick from Xavier and poking home from close range past Gamba goalkeeper Masaaki Hisashiguchi. In other opening-round action, Thai striker Teerasil Dangda scored in his debut to give Sanfrecce Hiroshima a 1-0 home victory over Consadole Sapporo, while FC Tokyo held the visiting Urawa Reds to a 1-1 draw. In the day’s final game, Shonan Bellmare defeated J1 debutant V-Varen Nagasaki 2-1 in a clash between two teams promoted from J2.